The IPO market in Malta is relatively limited in size but increasingly active. From a capital raising perspective, domestic issuers have typically elected to enter or return to the market via debt issues rather than equity listings. In March 2017, the first equity listing since 2013 took place. The listing of PG plc (which involved the sale by its majority shareholder of 27 million shares having a nominal value of €0.25 at the price of €1.00 each) was met with significant interest by the investing public (the offer was oversubscribed by almost four times), and signalled increased confidence in the market. Since such listing, the Maltese local market witnessed a rights issue and another IPO. Bank of Valletta plc launched a rights issue, offering 105,000,000 new ordinary shares to its existing shareholders on a 1:4 basis at the offer price of €1.43 per share. The rights issue was successful and enabled the local bank to further strengthen its common equity tier 1 (CET 1) capital. In April 2018, Main Street Complex plc was added as a new entrant to the equity market. The offer of Main Street Complex plc (owner and operator of a shopping complex in the south of Malta) was a combined offer of 7.5 million shares for sale by the company’s majority shareholder and the issuance of 5.23 million new shares, both at the offer price of €0.65 per share. 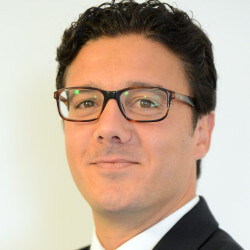 In view of the momentum created by these listings over the past year, and given certain recent fiscal incentives introduced with the specific aim of reinvigorating the market and attracting further domestic companies to list their equity on the Official List of the Malta Stock Exchange (MSE), it is expected that further equity listings will follow in the forthcoming 12 months. The issuers in the Maltese IPO market are principally domestic companies from various sectors including the property, hospitality, banking and retail sectors. Barring some exceptions, domestic companies tend to list their equity in Malta on the MSE, even though the alternative to list equity overseas is available. Companies registered in Malta would typically list their equity in an overseas jurisdiction if their investor base is located overseas or if there is a connection with the relative jurisdiction. An example of a domestic company that listed its equity overseas is Kindred Group plc (formerly Unibet), one of Europe’s leading online gambling operators and a company registered in Malta, which opted for a listing on the Nasdaq Stockholm. The primary exchange for IPOs in Malta is the MSE, a recognised trading venue for the purposes of the Financial Markets Act (Chapter 345, Laws of Malta) (FMA). The Official List is the MSE’s main market for the trading of equity (Main Market). Issuers wishing to admit their securities to the Main Market must submit two applications, one to the Listing Authority of Malta for the admission of its securities to listing and the other to the MSE for the admission of its securities on the Main Market. Securities traded on the Main Market are passportable within the European Union. In 2016, the MSE launched Prospects, a market for the trading of securities (including equity) of small and medium-sized enterprise (SMEs), which operates under a Markets in Financial Instruments Directive 2004/39/EC-compliant multilateral trading facility structure. In 2017, SFA SpA (an Italian company in the business of asbestos remediation for railway coaches) listed 700,000 Ordinary Shares on Prospects. It is the first company to have had securities admitted to trading on the Prospects market. Since then, a number of further sub-€5 million issues have followed in quick succession, albeit in the form of debt issues. Prospects was designed specifically for SMEs and is intended to cater for the particular needs and circumstances of smaller businesses. To this end, admission to Prospects is expected to have a turnround of just one month from the date of the formal application. Lighter admission requirements for SMEs are also applicable - the basic criteria are that the company needs to be a public limited company and there must be the appointment and retention of a corporate adviser to ensure compliance with the applicable rules. Although Prospects is accessible to both domestic and overseas companies alike, securities admitted to Prospects are not passportable within the European Union. In terms of the FMA, the Listing Authority is the competent authority to draw up and ensure compliance with the Listing Rules and any requirements or conditions set out in such rules. It grants or refuses authorisation for admissibility to the listing of securities or to discontinue the listing of such securities. The principal rules regulating IPOs are found in the Listing Rules, which also regulate the continuing obligations of issuers, shareholders’ rights and the imposition of sanctions on issuers. Securities traded on Prospects are subject to the Prospects Rules. The MSE is solely responsible for the supervision of the Prospects marketplace, including of companies whose securities are admitted in terms of Prospects and the corporate advisers appointed by the Prospects issuers. Issuers desirous of listing their securities on the Main Market must seek authorisation for a listing from both the Listing Authority and the MSE. With respect to securities to be admitted on Prospects, it is the MSE that would approve their admission. at least 25 per cent of the class of shares in respect of which application is made must be held in public hands in one or more recognised jurisdictions unless the Listing Authority accepts a lower percentage on the basis that it considers that the market would operate properly notwithstanding such lower percentage. where the issuer is a property company, a valuation report prepared by an independent expert in compliance with the rules of property companies in the Listing Rules. The Listing Authority may further require a copy of any other document that it considers necessary or beneficial in order for it to decide upon the authorisation of admissibility to listing. The eligibility requirements for SMEs seeking admission of their securities on Prospects are lighter than those applicable to issuers that wish to list securities on the Main Market. The Prospects Rules set out the details of the eligibility criteria for Prospects companies and the documentation to be submitted to the MSE. A notable derogation from the eligibility criteria set out in the Listing Rules is that SME companies need not have a three-year trading record. Rather, audited accounts that cannot be more than six months old are sufficient for the purposes of a listing on Prospects. Furthermore, there is no requirement for a minimum percentage of shares to be held by the public. Besides the submission of audited accounts, SME issuers would also need to submit a business specialist report as well as any other additional information that the MSE may require. Although Prospects companies are not required to engage a sponsor, the services of a corporate adviser must be employed. The corporate adviser is responsible for communication with the MSE and to provide a broad range of advice to the issuer on an ongoing basis, even after admission of the company’s securities on Prospects. Among the documents to be submitted to the MSE, the corporate adviser must submit a declaration on the suitability of the company’s securities for admission to Prospects. The prospectus is composed of a detailed table of contents, summary note, registration document and securities note, and must include the information contained in the requisite building blocks set out in the applicable regulation. Broadly speaking, a prospectus must contain all information which, according to the particular nature of the issuer and of the securities being considered for admissibility to listing, is necessary to enable investors and their investment advisers to make an informed assessment of the assets and liabilities, financial position, profits and losses and prospects of the issuer and of any guarantor and of the rights attaching to such securities. Commission Delegated Regulation (EU) No. 2016/301 of 30 November 2015 amending Regulation (EC) No. 809/2004 as regards regulatory technical standards for publication of the prospectus and dissemination of advertisements. In addition to the above, as from the 21 July 2019, the provisions of the Prospectus Regulation (Regulation (EU) 2017/2019 of the European Parliament and of the Council of 14 June 2017 on the prospectus to be published when securities are offered to the public or admitted to trading on a regulated market, and repealing Directive 2003/71/EC), must be complied with. Insofar as the form of the prospectus is concerned, the Prospectus Regulation shortens the summary of the prospectus (to a maximum of seven pages). Moreover, risk factors in a prospectus will now need to be categorised according to their nature and presented in order of ‘materiality’ (based on the probability of occurrence and magnitude of effect). The issuer, offeror or the person asking for admission to trading on a regulated market may disclose its assessment of materiality of the risk factors using a qualitative scale of low, medium or high. With respect to securities admitted to Prospects, where IPOs made under the Prospects Rules do not exceed €5 million, or have fewer than 150 investors from any single jurisdiction, a company admission document in the prescribed form must be approved by the MSE and made available to investors. IPOs with a value greater than €5 million (or which would exceed €5 million within 12 consecutive months with respect to the same issue), or with 150 investors or more, or that otherwise fall within the definition of ‘offer of securities to the public’ in terms of article 2 of the Companies Act (Chapter 386, Laws of Malta) will fall under the requirements of the above-mentioned regulations (as amended) and will, therefore, require a fully-fledged prospectus. The Listing Rules provide for certain restrictions on advertising in the run-up to and during the IPO process. The Listing Authority is the body responsible for supervising compliance with the applicable rules on advertising. The general rule is that once an application for admissibility to listing has been lodged, a prospective issuer must refrain from advertising in any manner, until final written notice of the approval of admissibility is received by the issuer from the Listing Authority. Accordingly, any form of publicity specific or referring to the prospective IPO released by the prospective issuer during this period is prohibited. Prior to the release of any advertisement or publication by prospective issuer, the Listing Authority should vet such material to ensure that, as required in terms of the Listing Rules, such advertisements or publications are accurate, factual and not misleading, do not contain any unverifiable claims and are consistent with the information contained in the prospectus. Such requirement would apply equally whether the Prospectus has been published before or after any advertisement is issued. The Listing Rules further prescribe that information concerning the admission to listing disclosed in an oral or written form, even if not for advertising purposes, must be consistent with the information contained in the prospectus. The rules on advertising contained in the Prospects Rules effectively reflect the advertising principles set out in the Listing Rules. The Listing Authority has wide investigatory powers with regards to issuers that are allegedly not in compliance with the Listing Rules. In particular, the Listing Authority may require an issuer to furnish it with information and documentation at such time and place, and in such form, as it may require. Moreover, representatives of the issuer may be requested to appear before the Listing Authority to answer questions and provide information required by it. The issuer is further duty bound to provide the Listing Authority with any assistance that it requires and that the issuer can reasonably give. In the exercise of its investigatory powers, agents or officers of the Listing Authority may enter the premises of the issuer for the purpose of obtaining information relevant to the investigation. The Listing Authority may also impose penalties on the issuer. In terms of the FMA, if the Listing Authority considers that an issuer of listed financial instruments or an applicant for admissibility to listing has contravened any provision of the Listing Rules, it may, without recourse to a court hearing, impose on the issuer or applicant, as the case may be, a fine of up to €150,000 for each infringement or failure to comply. Additional administrative penalties apply if the Listing Authority considers that an issuer of listed financial instruments has failed to make public any regulated information, in the form of an administrative penalty of up to €10 million or up to 5 per cent of the total annual turnover of the issuer according to the last annual accounts or up to twice the amount of the profits gained or losses avoided because of the breach (whichever is the higher). The penalties that may be imposed by the Listing Authority are without prejudice to the Listing Authority’s power to take any other steps available to it at law. Over and above the imposition of penalties, the Listing Authority also has the general power to suspend an admission to trading, suspend or prohibit trading, prohibit or suspend advertisements as well as to make public the fact that the issuer is failing to comply with its obligations. Where obligations imposed in terms of the FMA or any applicable regulations or the Listing Rules are applicable to an issuer, in the event of a breach, sanctions may also be applied to the members of the administrative, management or supervisory bodies of the legal entity concerned and to other individuals who are responsible for the breach. With respect to Prospects companies, pecuniary penalties that may be imposed by the MSE could reach up to a maximum of €100,000. Daily penalties of no more than €5,000 per day for any persisting non-compliance or omitted corrective action could also be implemented. As with the Listing Authority, the MSE has investigative powers and the power to suspend admission to the Prospects market. The time required to complete an IPO depends on the particular circumstances of the issuer, its financial standing and, to a large extent, the outcome of the due diligence to be undertaken at the preparatory stage. As a first step, a sponsor as well as legal and financial advisers would be engaged by the prospective issuer. The legal advisers to the issuer would typically carry out legal due diligence on the prospective issuer with a view to collating all information relevant for the purpose of drawing up the prospectus and identifying any legal or structural issues that could potentially stall or otherwise inhibit the IPO process. A restructuring of the group of companies of which the issuer forms part may be particularly pertinent for the purpose of streamlining the group, which is to be described in the prospectus in a manner that investors can easily understand. In some instances, underwriters are also engaged by the prospective issuer, in which case the preparatory stage would also involve the negotiation and drafting of the underwriting agreement and any other transaction documents relating to the arrangement of the IPO. In parallel, the financial advisers would also be undergoing their own financial due diligence and preparing the parts of the prospectus relative to past and projected performance. Once the due diligence on the issuer and any necessary restructuring of the group are complete, a first draft of the prospectus is submitted to the Listing Authority. Liaison with the Listing Authority is made exclusively through the sponsor appointed by the prospective issuer. Any comments by the Listing Authority on the drafts of the submitted prospectus and on matters or ancillary documentation relating to it will be received by the sponsor, which, in turn, has the responsibility to respond in writing. The book-building and marketing stage typically takes place at such time as the prospectus has reached an advanced stage and is considered an important step to gauge the interest of key investors in the IPO. Roadshows and market soundings must be carried out in accordance with applicable rules and regulations (particularly, the Market Abuse Regulation and applicable rules on market abuse) and would ordinarily be in the form of one-to-one meetings with reputable brokers or professional or institutional investors. Following final approval of the prospectus by the Listing Authority, pricing of the shares and execution of all transaction documents takes place as a final stage. Under Maltese law, an original of the signed prospectus must be delivered to the Listing Authority and also registered with the Registry of Companies in Malta (in the case of a domestic company). The shares will then be issued and admitted to the Main Market for trading to commence and the IPO proceeds will be received by the issuer. In the case of a sale of shares, the IPO proceeds will be received by the offeror shareholder(s). In the case of equities, upon listing, market capitalisation is calculated on the issue price and subsequently the average market capitalisation for the previous quarter is used. A €5,000 application fee applies for the application to the Prospects MTF. Annual fees also apply. Sales commissions typically hover around the 1.00 to 1.25 per cent mark. Total legal and financial advisory fees would ultimately depend on the extent of preparatory work required in advance of the prospective issuer going to market, as well as on such advisers’ familiarity with the issuer and related business and group. nominations committee and remunerations committee: the Code also expects that the board of the issuer establishes a nomination committee to lead the process for board appointments and to make recommendations to it. Such committee should be composed entirely of directors of the company. The majority of the members of the nomination committee must be non-executive directors, at least one of whom must be independent. The board should also establish a remuneration policy for directors and senior executives and set up formal and transparent procedures for developing such a policy and for establishing the remuneration packages of individual directors. For such purpose, a remuneration committee should be appointed. Various other requirements apply, particularly in relation to the proper functioning of the board, the avoidance of conflicts of interest and adequate disclosure of information to investors. SMEs seeking a listing to Prospects are subject to the Code of Principles of Corporate Governance contained in the Listing Rules. The principles set out in the Code are non-binding; however, should an SME fail to comply with principles of the Code, the reasons for non-compliance must be given in its corporate governance statement. Where applicable, the size of the company may be one of the reasons for which a principle of the Code is not complied with and is set out as the basis for such non-compliance. One important consideration with respect to the takeover of Maltese listed companies is that the majority shareholding is often consolidated in one or a small number of shareholders. Accordingly, the takeover of a Maltese company is often not a hostile takeover but one where the offeror and offeree agree on negotiated terms, with a voluntary takeover bid to be made subsequently in accordance with the provisions of Chapter 11 of the Listing Rules. In terms of the Listing Rules, if a target company has received a takeover notice or has reason to believe that a bona fide offer is imminent, the board of directors of the company must not take or permit any action in relation to the affairs of the target company that could effectively result in an offer being frustrated or the holders of securities of the target company being denied an opportunity to decide on the merits of an offer without shareholder approval. Moreover, the Listing Rules require that the memorandum and articles of association of the issuer do not permit the issue of shares that would dilute a substantial interest without shareholder approval. Chapter 11 of the Listing Rules, which seeks to implement the provisions of Directive 2004/25/EC of the European Parliament and of the Council of 21 April 2004 on takeover bids, was amended on the 25 May 2018. The amendments mainly clarified certain aspects of the bid process, such as the role of the Listing Authority in a bid, and provided guidance on the interpretation of particular listing rules in Chapter 11. The amendments to the Listing Rules became effective from the 27 February 2017. Foreign issuers wishing to list in Malta should primarily consider the nature of the market on which their securities will be traded (eg, Prospects or the Main Market), the applicable admission fees and the ongoing obligations under Maltese law. There are no special requirements for admission applicable to foreign issuers. The identity of the issuer will determine the competent authority that will approve the prospectus relative to the IPO. For all EU issuers of securities, the competent authority of the jurisdiction where the issuer has its registered office will be responsible for approving the IPO prospectus. With respect to issuers that are incorporated in a third country, the home member state will be the competent authority of the member state where the securities intend to be offered for the first time or where the first application for admission to trading on a regulated market is made, at the choice of the issuer. The Listing Authority will only approve a prospectus if it is satisfied that Malta is the home member state in connection with the issuer of the securities to which it relates. an offer where the total consideration of the securities for the offer in the European Union and the European Economic Area is less than €5 million, which limit shall be calculated over a period of 12 months. In terms of the Maltese Income Tax Act, any gains or profits arising from a transfer of shares listed, or in consequence of a listing, on a stock exchange recognised under the FMA are wholly exempt from Maltese income tax on capital gains. Accordingly, holders of shares owned immediately prior to their listing and that are disposed of following their listing may also avail of this blanket exemption on any gains realised upon such disposal. 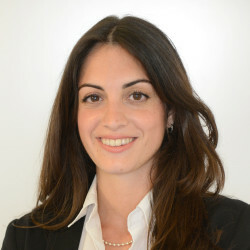 This exemption is also applicable to shares admitted on an alternative trading platform and not just those shares listed on the Malta Stock Exchange and, therefore, holders of shares which are listed on the Prospects multilateral trading facility may also benefit from this tax exemption, irrespective of whether the shares transferred were originally held pre-admission or post-admission. With respect to dividend distributions by a company listed on a stock exchange recognised under the FMA (including the Prospects multilateral trading facility) shareholders holding not more than 0.5 per cent of the share capital of the company so listed may claim a full credit of the tax at source on such dividend. The credit may result in a refund depending on the income tax rates applicable to the shareholder. Malta has also recently introduced the Notional Interest Deduction Rules aimed at addressing the tax bias that exists in favour of debt instruments. In terms of these Rules, which are applicable as from year of assessment 2018, companies (irrespective of whether or not they are listed) may elect to claim a deduction against their chargeable income, which deduction represents notional interest that is deemed to have been incurred as a result of a company investing and risking its own capital for the purposes of its operations. This notional interest deduction is calculated on the level of ‘risk capital’ available at the end of the accounting period, which in terms of the Rules is defined as the share capital, share premium, positive retained earnings, non-interest bearing loans and any other reserves. Addressing differences in the tax treatment of various financial instruments was indeed one of the action plans outlined in the EU’s Capital Markets Union Action Plan. IPO investors must seek redress for civil damages from the ordinary courts in Malta. Although the Listing Authority has the power to investigate an investor’s complaint and impose penalties on an issuer, it has no competence to award damages to an investor seeking redress. Class actions or collective proceedings are not possible with respect to IPO-related claims. Although Maltese law recognises the concept of collective proceedings or class actions, collective proceedings are limited to matters of competition law, consumer law and product safety matters. Notwithstanding the fact that class actions are not applicable to IPO-related claims, investors may file one application in the ordinary courts as joint plaintiffs provided that the cause of action or the ‘interest’ of the investors is the same. if the court is further satisfied that by virtue of a breach of applicable rules and regulations and the investor has suffered loss or has been adversely affected as a result of that contravention, it has the power to require the issuer to pay a sum that it considers just to the investor suffering such loss. The Maltese equity market has continued to see measures introduced to gain momentum since 2017, which marked the first equity listing in four years. It is expected that the favourable fiscal positions in 2017 applicable to equity securities listed on the MSE, and the performance of recent listings, will contribute to an increase in equity listings over the course of 2018. Another important development during 2017 was the extension of the trading hours on the Malta Stock Exchange. As from 18 April 2017, trading hours doubled from three hours per day to six hours, a factor that contributed to the sharp increase in trading activity over the course of the last 12 months.